Wake is a College + Young Adult Ministry in Albuquerque, New mexico. WAKE was started in 2005 out of Copper Pointe Church. Since its inception, Wake has grown into a vibrant community of young adults that are united around the mission to live For the Sake of Others (#FTSO). Wake meets on Wednesday nights at 7:00pm at Copper Pointe Church for weekly services, and hosts community events throughout the year. We want YOU to be a part of our Wake family! Follow us on social media @wakeabq, or better yet - join us for a service on a Wednesday night. We’d love to meet you and get you plugged in to our community! Lazy. Apathetic. Entitled. We hear these words being used to describe the Millennial Generation all the time. Start typing “Millennials are...” in Google and you’ll see a multitude of negative results that flood the internet. Like no other generation before in history, Millennials are written off, dismissed, and perceived in a negative sense. But we know better. Research actually shows that millennials are the most cause-centric generation in history, and have incredible potential to have an earth-altering impact. Studies tell us that the primary motivator for Millennials is intrinsic passion for a cause and an inherent desire to do good. The Millennial Impact research group says that "Millennials are socially conscious, passionate, well-informed, and poised to engage when they care about an issue”. 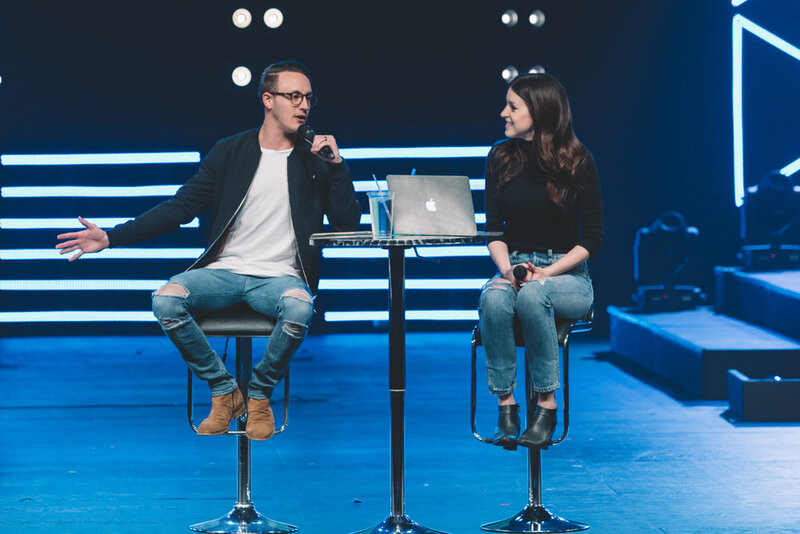 With all of the power that can come from a Millennial generation united around a cause, we see no better channel for that energy, passion, and zeal than the cause of Jesus Christ. We believe strongly that Millennials united around the cause of the gospel can and will change the world. Jesus loves Millennials, and at Wake we are committed to building disciples of Christ that know who they are and why they exist. Join us on a Wednesday night, and be a part of the greatest cause that human history has ever known! If you are thinking about checking Wake out for the first time, or just missed a recent service, we livestream every service on Wednesday nights at 7pm, and we also load our weekly services onto our YouTube page. You can follow one of the links below to watch a Livestream of a Wednesday night service or to recap on a recent series on YouTube! Our most recent service is linked below for you to watch immediately.